It has been a while! Well over a month since my last post. We have been battling colds, holidays, and birthdays! I have been so consumed with everything else that goes on in real life I haven’t had much time to sit down and write. I have had time to continue my fitness regimen. I always make sure that is worked into my nearly daily routine. Santa brought me some wonderful fitness things for Christmas. A heart rate monitor, a BOSU ball, two new hand weight weight sets, and a 12lb medicine ball. I was going to start off by saying I am obsessed with the monitor but quickly realized in all actuality I am obsessed with every gift. I have acquired quite the home gym. Jason’s Christmas and birthday gifts were also fitness related. 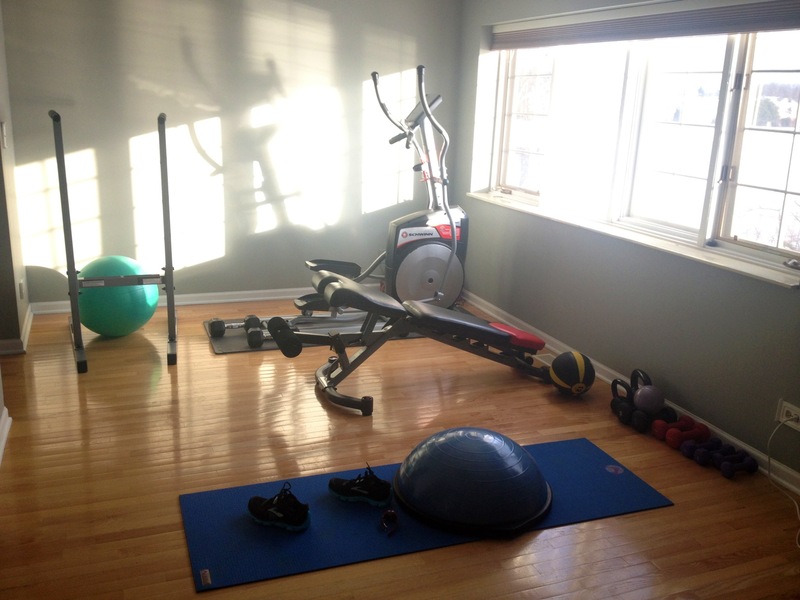 We have an awesome home gym in our bedroom. The bench and the dip station were actually gifts for Jason. He picked them out as Christmas/birthday gifts. Obviously we share all of our equipment so that works out nicely. Eventually I would like to get a treadmill but that will probably wait until we move again.For now I am enjoying the ease of being able to just pop into my bedroom during nap time and get 40 or more minutes of good exercise in. Someone recently told me that the fact that I work out at home means I have dedication. Since I do not go to the gym. I had never thought of it that way. I always thought the opposite. It takes a lot of motivation to get in your car and go workout at a different location. It was a nice compliment though. I do workout 6-7 days a week. I am constantly able to switch up my workouts. I am looking forward to going running again, but the weather is rather frigid. Jackson will be 1 in two short weeks. I just shook my head as I wrote that because I still cannot grasp that concept. He is a wonderful, loving, silly, funny, sweet boy. I could go on and on. He is so smart. He amazes me daily. Everything is not always sugar cookie easy but the good definitely outweighs the bad. He has a tooth, he is starting to talk, cruising along any piece of furniture he can reach, trying to work up the courage to stand and walk on his own, he laughs at funny things, gets lost in his own imagination with his toys, he knows how to play with his xylophone, and he just loves to give hugs and kisses. He is a sweet heart. Thinking back to those foggy newborn days I thought I would never get here. I was so tired and things were pretty hard each day. It was exhausting and emotional. Was I ever going to sleep again??? I always wondered who he would be. In many ways I still think about that regularly. However, he shows me daily who he is right now. He sleeps about 12 hours a night! Yes, sleep does return! Who knew?!?! I get lost sometimes just sitting down watching him play or do whatever he is doing. I feel blessed to have been given him as my child. Like I said, not everyday is a sugar cookie day. This week he has been having a hard time with nap time. I think it is because he is getting another tooth. I have tried to remember that the time goes by too fast and to just have patience. He is not doing it to be a booger he is in pain. And he does sleep through the night, so I am not going to complain too much about it taking him longer to settle into nap time. Besides, who could get too frustrated with this face? Well that’s it for now. 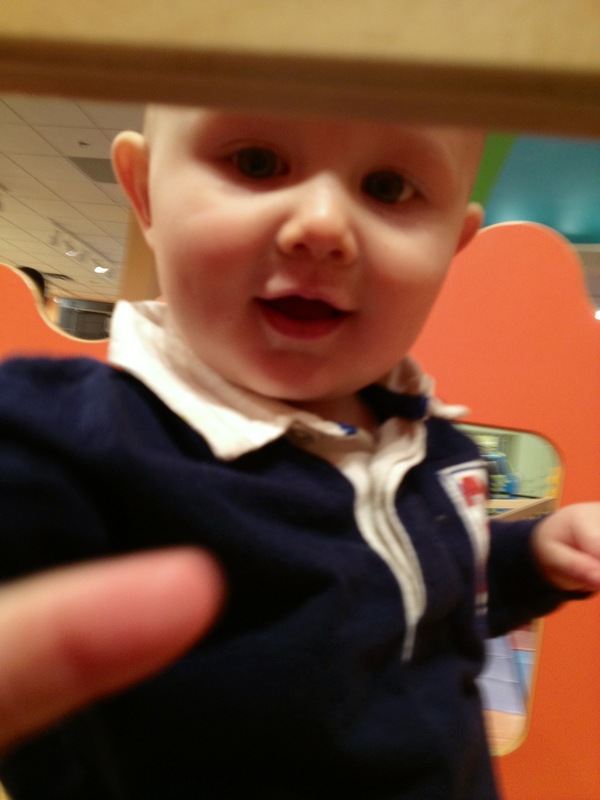 I hope to write a post shortly after he turns 1. Maybe before then. I have a lot going on between now that then though. Sadly this one took me about 3 days to complete. And it is nothing that profound. Just a busy bee.